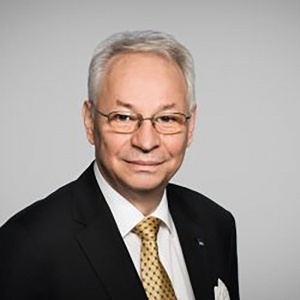 Prof. Dr. W. Schneider became President of Accountancy Europe in December 2016, after he had joined its board in 2013. Priority tasks during his term are to help adapting EU regulation to the needs of SMEs and advance the digitization of auditors' work. Edelfried is a long-term partner in the midsize auditing company Dr. Dienst & Partner. He was also Chairman of the Institute of Public Auditors in Germany (IdW) from 2011 until 2015. His international experience includes leadership roles in the HLB International network, where he is a member of the Executive Committee and the Council. During 2005 – 2015, Edelfried was an alternate member of the TAC (Transnational Auditors Committee) of the FoF (Forum of Firms).